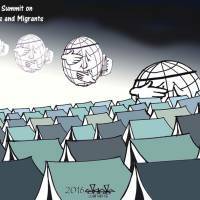 DHAKA - At last year’s United Nations General Assembly summit, world leaders promised to cooperate on ensuring safe, orderly, regular and responsible migration. This year, they need to do more to realize that pledge. U.N. member states have acknowledged migration’s many benefits, including its role in stabilizing global labor markets, spreading knowledge and ideas, creating diasporas that spur increased trade and investment, and sustaining economies worldwide through remittances, which pay for family members’ health care, education and housing back home. But these benefits are easily squandered if, as we’ve seen recently with crises in the Mediterranean Sea, the Andaman Sea, the Central American corridor, the Sahel and the Horn of Africa, migration is not governed responsibly and cooperatively. More than 4,300 migrants have died this year trying to reach their destinations. In the Mediterranean Sea alone, 3,200 people have perished, and in the Andaman Sea, just east of the Bay of Bengal, thousands of migrants have been stranded on boats with nowhere to land, or have been held hostage by their traffickers. Against this backdrop, U.N. member governments should acknowledge the gap between the ideals they espoused last year and the harsh realities many migrants and refugees continue to face today. World leaders can rectify this at this month’s General Assembly meeting — and specifically at an unprecedented summit on migration and refugees. World leaders should first renew their commitment to stronger global governance of migration, and agree to hold a first-ever intergovernmental conference in 2018 to focus exclusively on creating a new global compact on migration, as U.N. Secretary-General Ban Ki-moon proposed earlier this year. The mere possibility that U.N. member states may settle on a new global compact is a significant development. For far too long, the international community has struggled to govern migration effectively. Without global-governance institutions and legal frameworks to guide international cooperation, most countries must resort to unilateral management of their own migration flows. When states fail to govern migration effectively, they create a vacuum that is filled by unscrupulous actors: smugglers, traffickers and organized crime. Meanwhile, countries, migrants and host communities all lose out as they bear the costs of migration without realizing its benefits. The U.N. currently is falling short of providing effective support to member states, migrants and the societies that host them. Its member governments need to agree on universal principles to establish an international framework for dealing with migration, and the U.N. itself should make governance of migration one of its central missions, rather than scattering the task across different agencies. Fortunately, the International Organization for Migration is joining the U.N. system. The IOM is expected to play a leading role in making migration governance more coherent and efficient. My own country, Bangladesh, initiated the idea of a global compact specifically to improve migration governance. As the current chair of the Global Forum on Migration and Development, Bangladesh is committed to ensuring that the lessons learned inform the global compact. But, to avoid entering into new agreements that merely re-state or re-negotiate existing commitments, world leaders must act now to lay the institutional and legal groundwork for operationalizing previous proposals and make further progress. 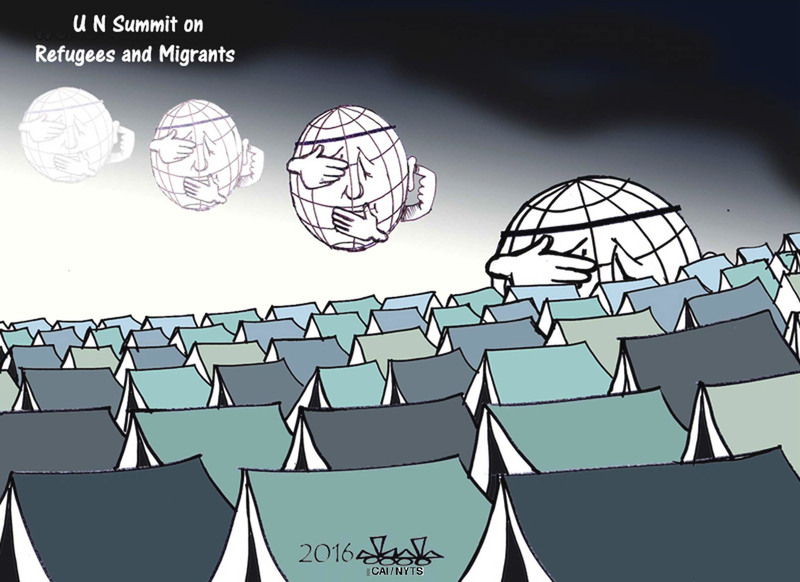 International cooperation on migration should be founded on existing intergovernmental agreements, such as the 2030 Agenda for Sustainable Development, the 2015 Addis Ababa Action Agenda, the 2015 Sendai Framework for Disaster Risk Reduction, and the 2013 Declaration of High-level Dialogue on International Migration and Development. Migration is a multidimensional issue; it requires a comprehensive approach that also respects existing national laws and regulations. Policymakers should maximize migration’s economic benefits; facilitate legal channels so that migrants don’t choose illegal alternatives; reduce barriers for employment and remittances; manage irregular migration flows; and protect migrants’ safety, especially in war zones or when migration reaches crisis levels, as it has this year. Countries and nongovernmental organizations must remain vigilant against exploitation of migrants, and governments should share responsibility for accommodating refugees. And, to keep up with rapidly changing geopolitical conditions, the international community should consider new partnerships in addressing migration and large movements of people. Finally, effective migration governance requires institutional and legal frameworks that can reconcile sometimes-conflicting considerations. For example, countries’ national interest in maintaining their sovereignty, controlling their borders and enforcing their domestic laws must be balanced against migrants’ human rights, their legitimate desire to improve their lives and societies’ need for immigrants and increased diversity. By addressing all of these concerns together, the international community can uphold the principle of shared prosperity through shared responsibility, which is at the heart of the U.N.’s 2030 sustainable development agenda. The time has come to set the world on a new path of constructive cooperation, instead of populists’ preferred path of destructive unilateralism. We need only recognize that migration benefits us all to maximize the gains and minimize the pain.